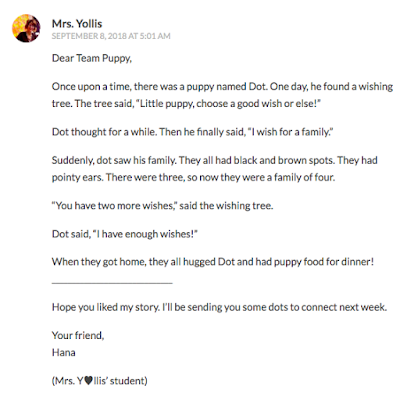 Mrs. Yollis' Classroom Blog: International Dot Day :: Connect Professional Dots! International Dot Day :: Connect Professional Dots! Mrs. Yollis' class is celebrating International Dot Day! We are celebrating in many ways with our global Dot Day blogging buddies! 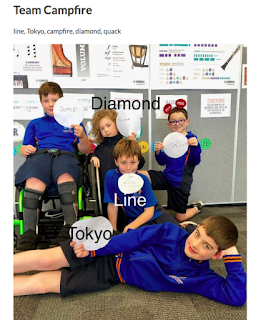 Here is a link to our collaborative International Dot Day Project Blog! You might be asking, how did Mrs. Yollis connect her students in Los Angeles with these classrooms in other countries? The answer is by taking a risk and reaching out through social media. Building a professional learning community is so important for teachers and has never been easier. 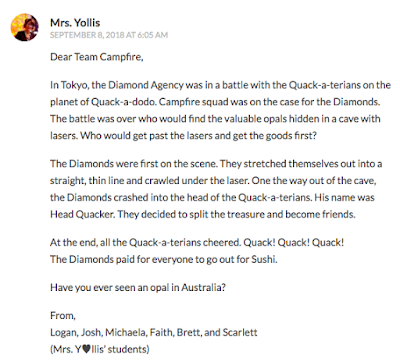 Leaving comments on classroom blogs and/or discovering professional opportunities on Twitter provide teachers with collaboration opportunities for their students. Let's connect the professional dots! 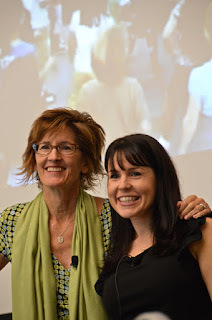 Mrs. Yollis met Mrs. Morris from Australia through blogging! 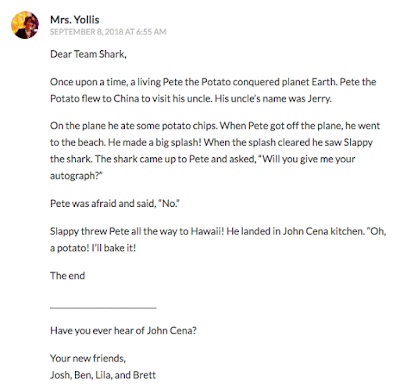 Their classes left comments for one another on their classroom blogs and a ten-year friendship began. Their passion for education blogging was shared at the ISTE conference in 2012, in San Diego. Mrs. Morris even came to meet Beverly and see the classroom. Educational Bloggers Meet from yourwonderfulteacher on Vimeo. 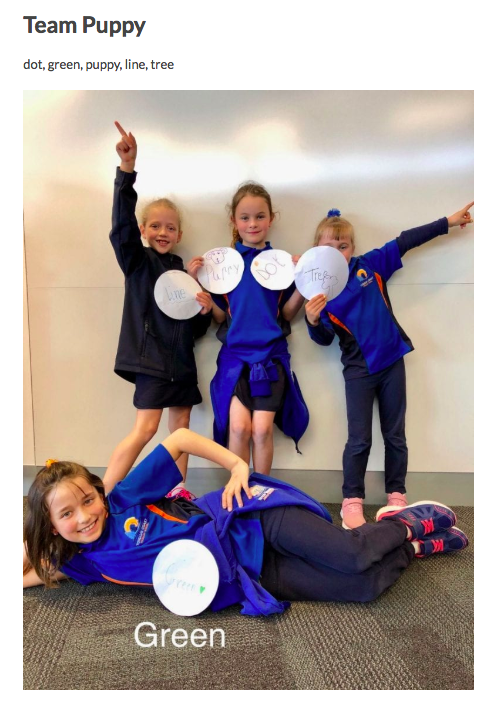 Here is a link to Mrs. Morris' Blog. 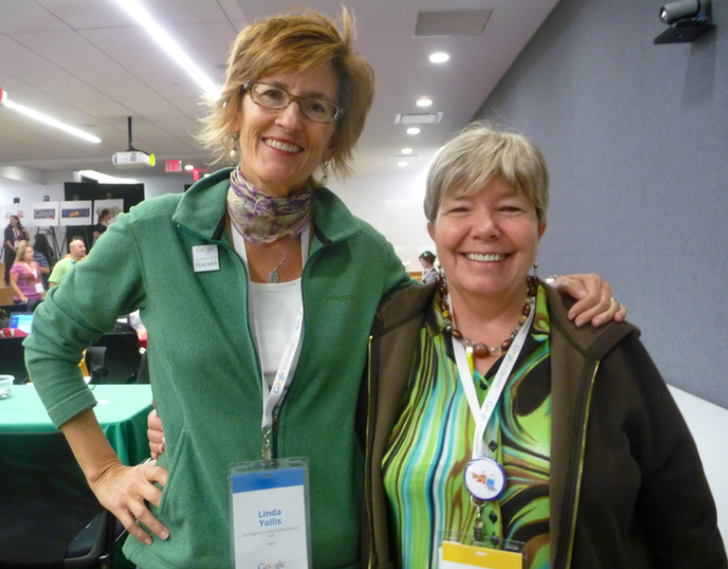 Mrs. Yollis met Mrs. Beal from South Africa in 2012, at the Google Teacher Academy in New York City. They share a strong interest in global collaboration and meaningful integration of technology in the classroom. 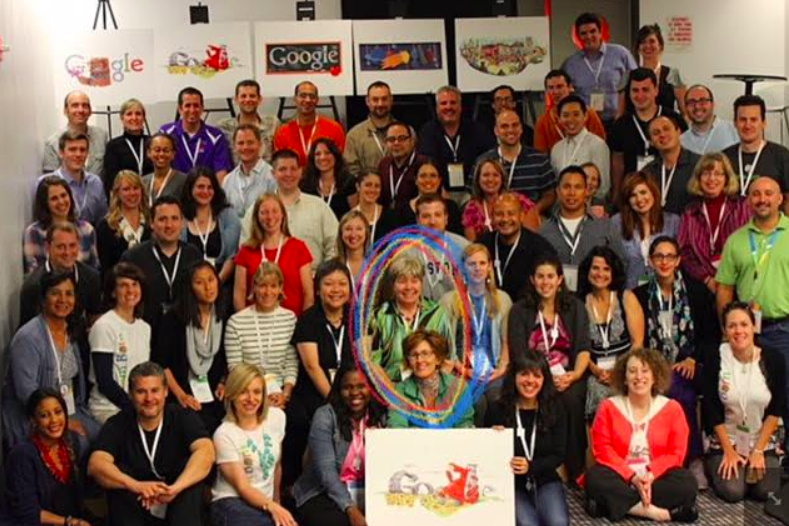 Mrs. Yollis learned about the Google Teacher Academy via Twitter. 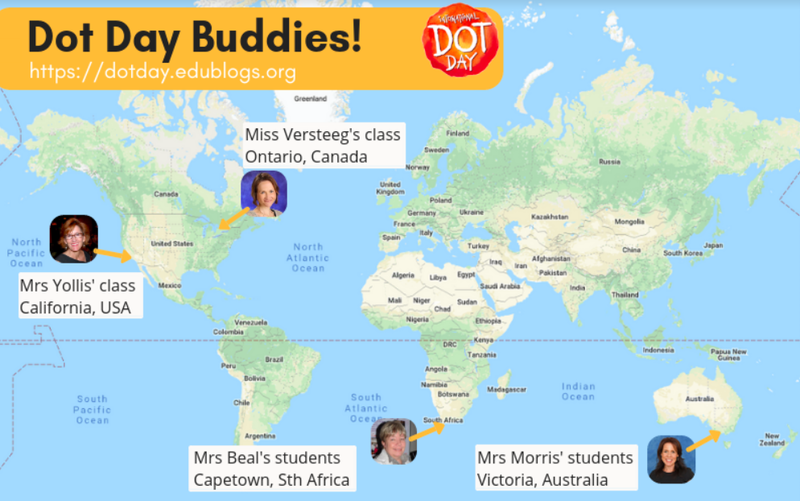 Mrs. Yollis met Miss Versteeg from Canada through Edublog's Better Blogging with Students program run by Mrs. Morris on The Edublogger. 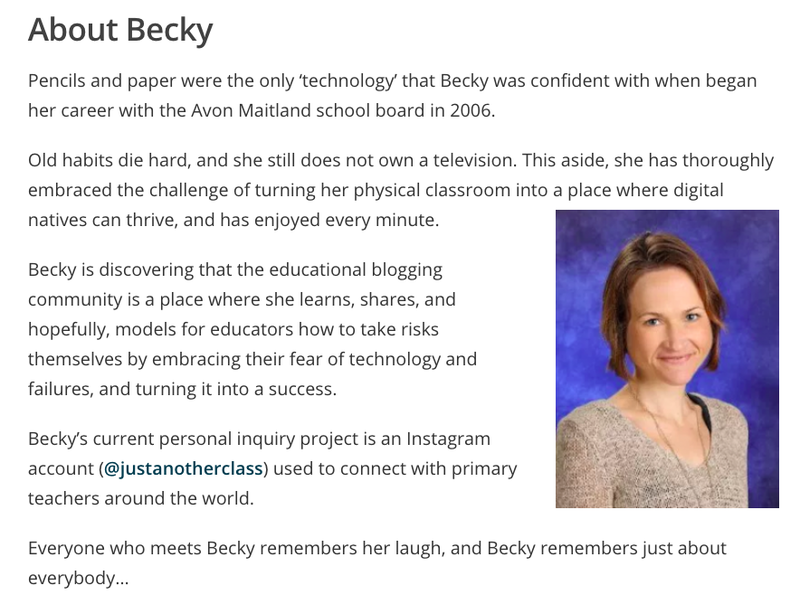 Miss Versteeg was featured on TheEdublogger. Mrs. Yollis starting following her class blog and is enjoying learning with her. 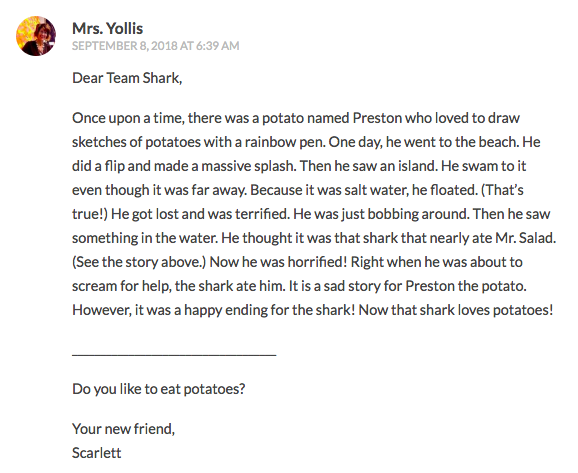 Here is Miss Versteeg's Grade 2 Blog. 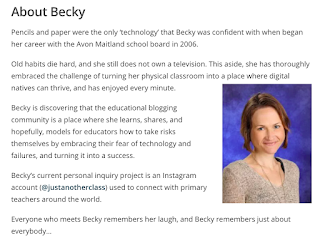 Connecting with educators through blogging, Twitter, or Instagram can have a tremendous impact on student learning. It's never been easier to flatten the classroom walls and create a true global community! 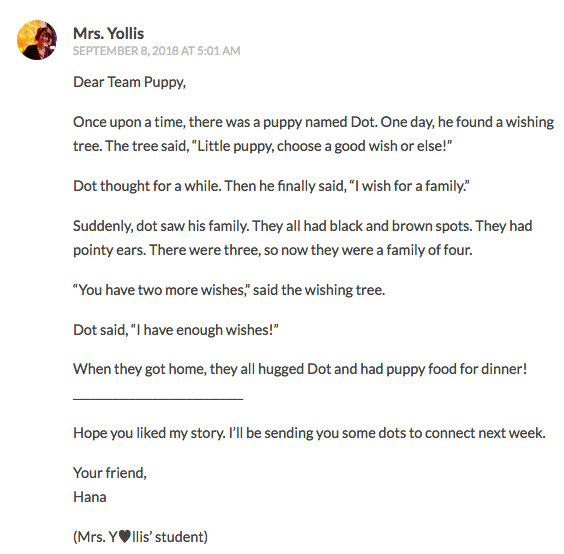 Collaborative International Dot Day Project Blog! 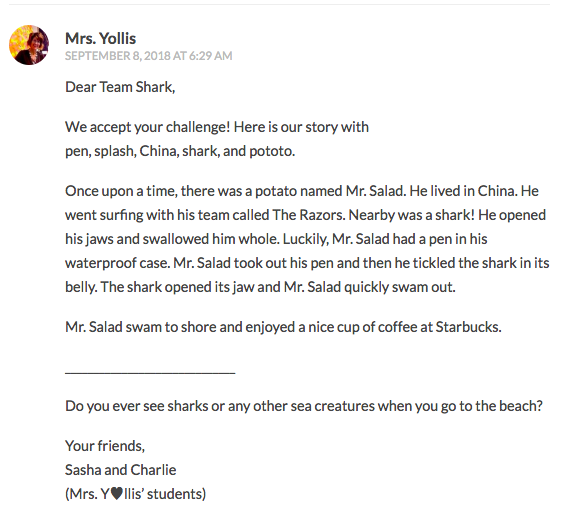 If you are looking to connect with other classrooms, join the Student Blogging Challenge! 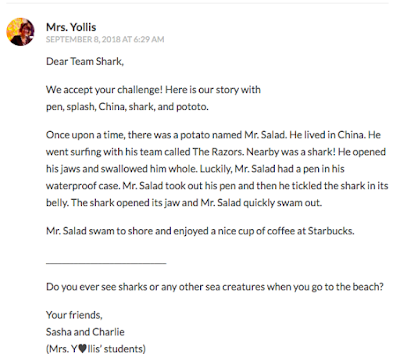 The Student Blogging Challenge starts October 7, 2018. 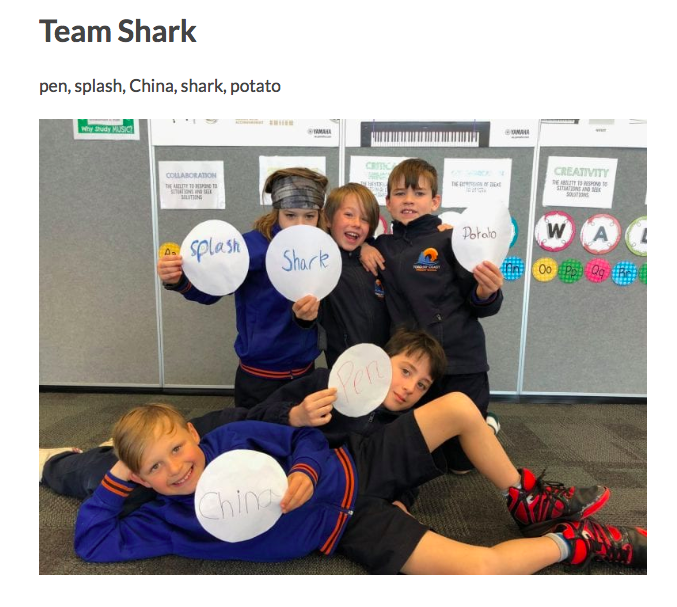 What do you like about working with other classrooms around the world? I had a big smile on my face as I watched the video from my visit to California. I can't believe it was 6 years ago! Thank you so much for writing this post. I think you've demonstrated that it's easier than ever to flatten the classroom walls. I hope more teachers give global collaboration a go. The rewards are worth it! I'm enjoying getting to know Mrs Beal and Miss Versteeg too. Maybe we'll all meet up one day. You never know! I like working with other people around the world because I get to learn about other places that I have not been to. I also like learning that other places in the world are on a different time zone than us and we have to make a flipgrid to be able to communicate with them.